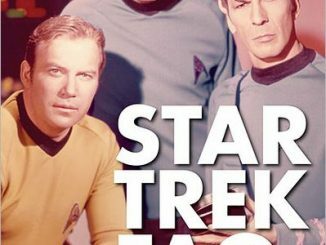 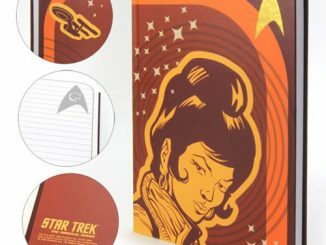 We never saw Uhura get out of the shower in the original Star Trek. 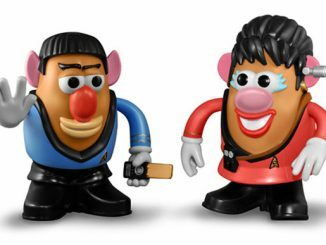 It was a family show after all. 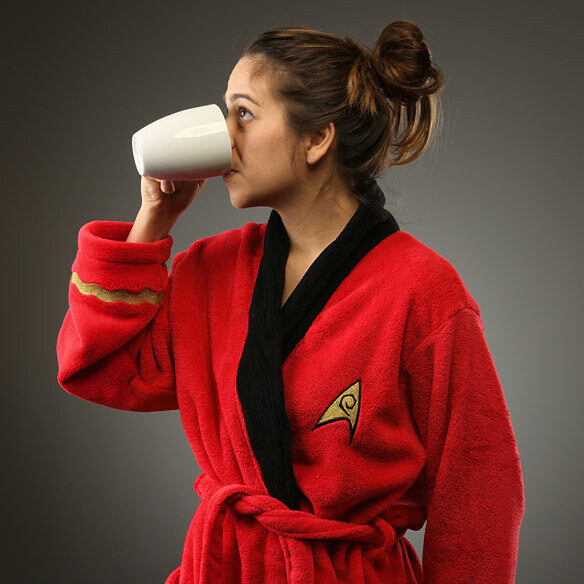 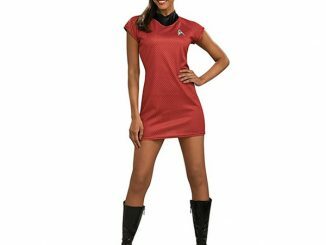 But if we did, we would have seen her in this Star Trek Uhura Fleece Bathrobe, looking stylish. 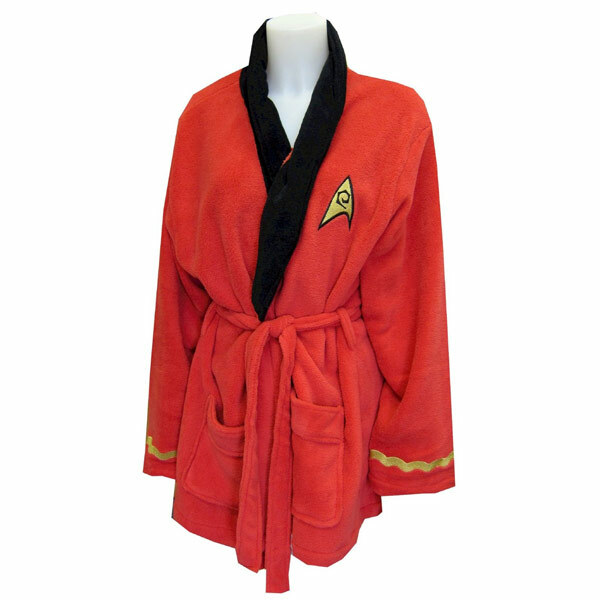 This awesome robe is polyester and ties at the waist. 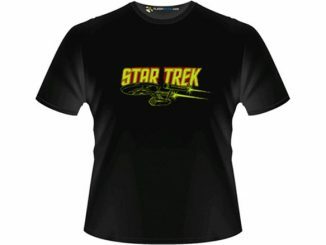 Since you don’t live on a starship where your laundry is automatically done for you, it is machine washable. 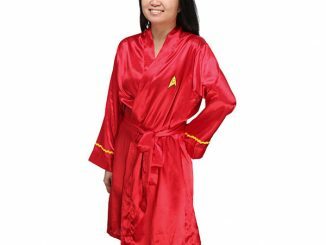 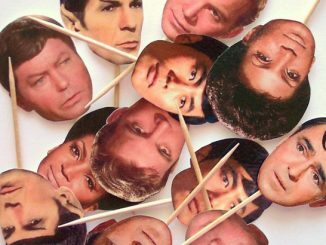 Buy one for the woman in your life who loves Star Trek. 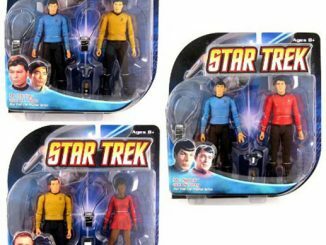 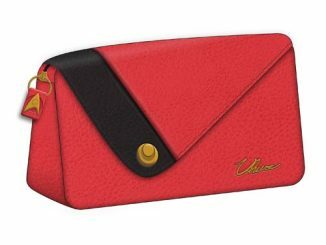 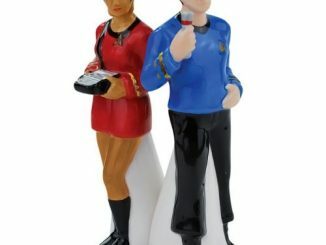 Only $49.99 from ThinkGeek.com, $39.99 at Entertainment Earth and $55 at Amazon.com.